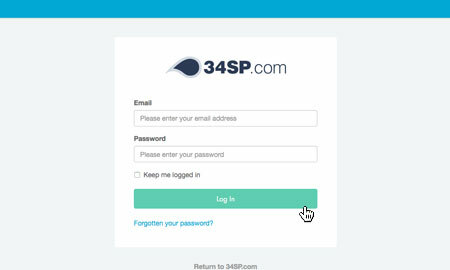 This is a quick step-by-step guide to viewing, adding and removing domain aliases via the 34SP.com Control Panel. Then please click on the icon labelled 'Aliases'. 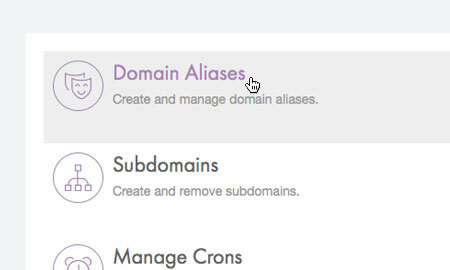 The 'Manage Aliases' page provides an overview of your domain aliases, with each alias listed in a table. 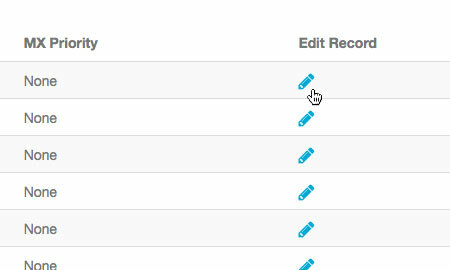 Along with viewing each alias, you can also remove each alias via the table, by clicking on the relevant icon. 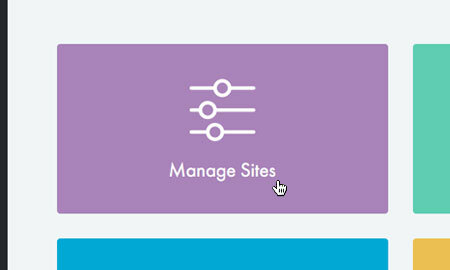 If you wish to add a new alias, simply click on the button labelled 'Add New Alias' when viewing the 'Manage Alias' page. This will bring up a form. Simply fill in the form with your domain name. When you're done, click 'Create New Alias' to save your changes. You'll then be returned to the 'Manage Aliases' page, were your new alias will be listed. 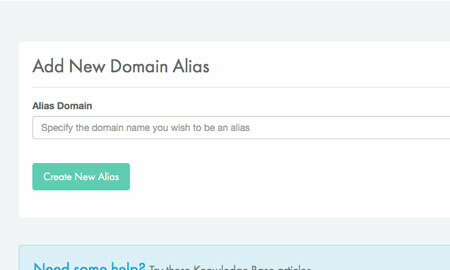 After your alias has been created, you will need to update the DNS for the domain name you are using as an alias. 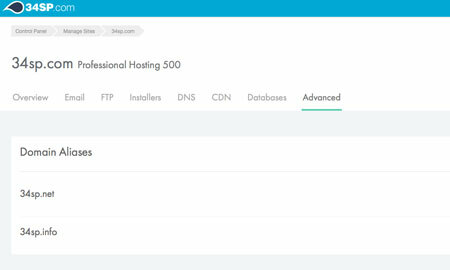 In the large majority of cases, this will mean editing the A-record (IP address) so that it is the same as the hosting account you have set the alias up on. 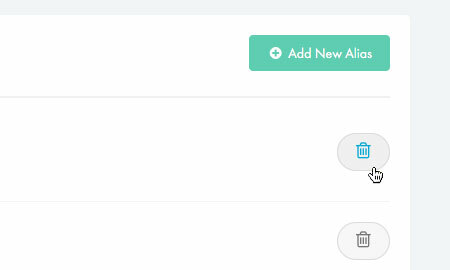 If you would like to set up an email mailbox via the alias, you also need to update the MX records on the domain to point to the same mail server as the hosting package. 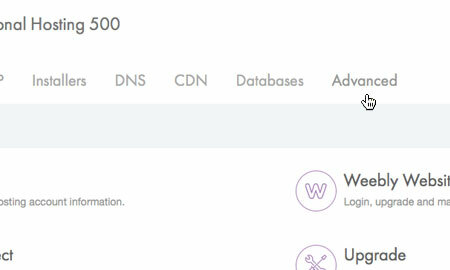 If you wish to find out the IP address of your hosting account, you can find it in the DNS section of the Server Guide page. Please note: For more information on updating your DNS, please read 'How to manage DNS records'. 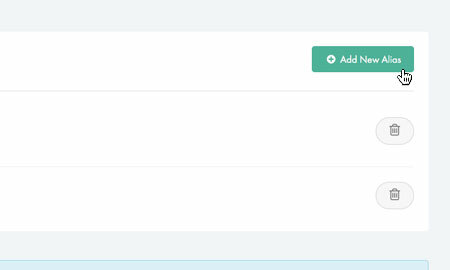 If you wish to delete a existing alias simply click on the 'Remove' button (the 'trash' icon) for the alias you wish to remove, when viewing the 'Manage Aliases' page. This will remove the alias permanently.